Modern research has suggested that the family have lived at the castle since well before 1500, indeed suggesting that they can be traced through Thorfinn’s grandfather, Hlodvr, to a Pictish Mormaer of Caithness and thus one of the earliest line of families still living in the same place. The concept of named clans came much later, but Castle Leod was one of the original Mackenzie strongholds and is now home to their Chief, The Earl of Cromartie or Cabarfeidh as he is known by the Gaelic patronym. 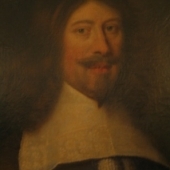 The Cromartie Mackenzies are directly descended from Sir Rory Mackenzie who was the younger brother of the Chief in the latter part of the 16th Century and became defacto Chief when his brother, known as ‘Kintail’ died. 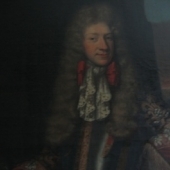 Perhaps the most interesting character was his son, George, who became the The 1st Earl of Cromartie, a truly modern man both in his extensive political career when he became Lord Advocate for Scotland then, later, Secretary of State, but also in his love of science and the arts. A friend of Sir Isaac Newton and a founder Member of the Royal Academy of Science in London, both ardent Alchemists, he was also a believer in the Union of the Crowns but on the understanding that both countries would be equal in status, which never became a reality. Partly due to this his eldest son John, The 2nd Earl of Cromartie was briefly involved in plotting against the Hanoverian government, murdering a spy sent to infiltrate the plotters and only narrowly escaping the death sentence thanks to his father. 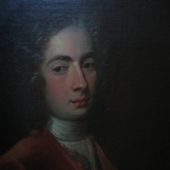 John’s eldest son, George, The 3rd Earl of Cromartie was an ardent Jacobite however. 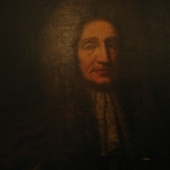 He raised a force of around 500 Mackenzies and their supporters and took part with his eldest son, John, in the 1745 Rising. Having committed the entire family fortunes to the success of Bonnie Prince Charlie and the Jacobite cause his forces were in the front line at the Battle of Falkirk and were later placed in charge of the Princes forces in the north. He and John were captured the day before the Battle of Culloden, when General Louden and his superior force ambushed them at the Battle of Meikle Ferry near Dornoch. En route to this, Cromartie had spared the town of Dingwall, sacked Foulis castle, the seat of the clan Munro and Hanoverian supporters, and captured Dunrobin castle. Cromartie was sentenced to death with the other three Jacobite lords at a show trial in London. The family was stripped of its titles, the estates confiscated and total ruin resulted. George was rescued by the extraordinary bravery of his wife, ‘Bonnie Bell’, Isabella Gordon, after she fainted at the king’s feet having presented him with a Petition to save his life. 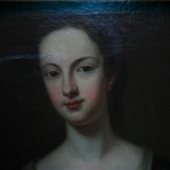 She befriended Frederick Price of Wales who hated his father, George the second. Frederick, together with his wife and ‘Bonnie Belle’s’ courage, managed to commute the death sentence to one of exile in Devonshire for life, after a three year spell in the Tower of London. He eventually died, in poverty, in Walpole Street in London. 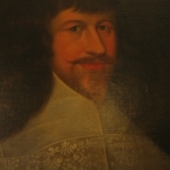 George’s son, Lord Macleod was released from the Tower after a year, still only 19, he went to Sweden where his brilliance as a soldier was soon recognised and he became an Earl Marishall as well as being created ‘Count Cromartie of Sweden’. After returning to Scotland he and his brother raised a regiment of foot which much later became the Highland Light Infantry. After action in India he was given the right to buy back the estates for £19,000, a huge sum in those days. George lived out the rest of his life at Castle Leod. Family fortunes waxed and waned and briefly rose when Anne Hay Mackenzie was created the Countess of Cromartie in her own right by Queen Victoria, in 1861, thus restoring the family titles. The mid-19th Century saw much of the castle extended and a further expantion was added in 1911 for the butler who was subsequently killed in the Great War. The family gradually moved from the Old Tower to the ‘New Wing’, as the 1911 extension was subsequently named, and remains the family home to this day of John Mackenzie, The 5th Earl of Cromartie, The Mackenzie Clan Chief.